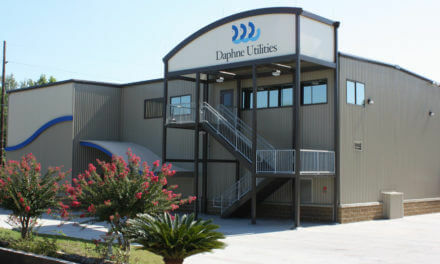 Though there have been efforts throughout the years to improve emergency services on Dauphin Island, overcoming the distance from facilities on the mainland is still an issue for first responders. The island recorded a population of roughly 1,200 in the 2010 census, but those numbers can quadruple during peak vacation times or large events. 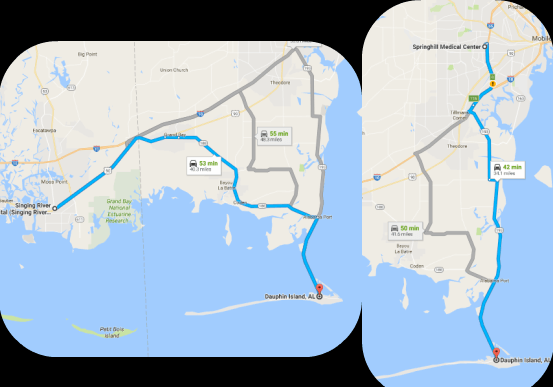 Yet, like most of the smaller cities and towns in the area, Dauphin Island is reliant on Mobile County EMS for its ambulance services. Mayor Jeff Collier told Lagniappe during those big events, such as the Alabama Deep Sea Fishing Rodeo, the town works with Mobile County EMS to station ambulances on the island, but on most days the closest ambulance is 23 miles away in Bayou La Batre. Even once an ambulance arrives on the scene of a medical emergency, the nearest hospitals are still 34 miles north in Mobile or 40 miles east in Pascagoula — meaning more than an hour and a half can pass from the time a call is dispatched to the time a patient arrives at the emergency room. Dauphin Island isn’t alone in this situation, though. Providing and funding emergency medical services is a challenge for most rural communities with small tax bases, but for the past several years the island has been able to fill some of that service gap by using public safety officers. Collier said the town currently employs some half dozen public safety officers, who are certified as emergency medical technicians (EMTs) or paramedics. 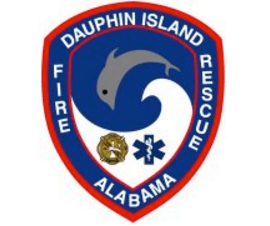 They are also qualified to operate equipment used by the volunteer department, Dauphin Island Fire and Rescue (DIFR). The current system hasn’t always been the way emergency medical services were handled on Dauphin Island, though. Fire Chief Brad Cox said the town has previously tried subsidizing the cost of stationing a county ambulance on the island 12 hours a day. However, that approach proved costly and there was still a possibility the ambulance could be dispatched elsewhere at any time. Even further back, EMTs with the volunteer fire department would transport patients, but Cox said that was stressful on volunteers even when the department had twice the manpower it does now. Though there used to be more than 20 EMTs volunteering for DIFR, Cox said the number has dropped to about eight. Notably, Cox said the department saw a decrease in membership shortly after Hurricane Ivan in 2004, which covered nearly a fourth of the island in a storm surge. After researching how other departments handle similar challenges, Cox said the town moved toward the use of public safety officers — a system he says is ultimately better for the remaining volunteers and helps Dauphin Island get the most out of its limited funding. Cox said he would ideally like to see the town man its own ambulance again or work with the county to have one of its units stationed closer to the island. While Turner said Mobile County EMS would like to do the same, he added the agency also has its own funding limitations. Collier said providing emergency medical service is just one way living on a barrier island “presents its own set of challenges.” While he believes the current system is “working pretty well,” he said the town is always looking to “react and supplement” those services where it can. As for Cox, he said he, like everyone else, wishes ambulance response times to Dauphin Island could be a little quicker. However, he also said he understands it’s one of the downsides of living in a rural community, adding “there’s no magic wand” to fix the problem. And, like leaders at most every small-town volunteer fire department, Cox said he’s beyond grateful for the help he has, but could always use more.